Notebooks surpassing desktop computers in lightness and mobility—that’s nothing new, but suppose we say we have a laptop that can trounce desktops in terms of sheer power and performance? Intel’s CFD, an event sponsored exclusively by MSI, will take MSI’s GT740 to England, South Africa, Poland, and Italy on a tour scheduled to end in late October. The portions of the tour in England, South Africa, and Poland will feature Fnatic.MSI. This team of international gaming champions will pit the MSI GT740, the world’s ultimate gaming notebook which comes equipped with Intel’s Core™ i7 CPU, against the best desktops money can buy. An exciting exhibition and live demonstrations are also scheduled for Italy to show off the GT740, the planet’s most extreme gaming notebook. The MSI GT740 packs an Intel Core_i7 Quad-Core Processor which works in coordination with Intel Hyper-Threading technology for superior data-handling. The addition of the latest Turbo Boost technology allows the notebook to drive 3D games at blinding speeds, breaking records, and challenging the most formidable desktop systems in today’s gaming world. MSI Notebook Division Marketing Director Sam Chern says incorporating Intel’s Core_i7 Quad-Core Processor into the GT740 means unlimited potential. The addition of a 17-inch cinema-class LED display, NVIDA GeForce GTS 250M 3D independent graphics processor, and five theater-quality, high fidelity SRS Premium Sound speakers helps make the GT740 an audio-visual system of unparalleled quality and power. Armed with the unbeatable GT740, Fnatic.MSI blew away the world’s most powerful desktops in the first round of the CFD in England in late September. Their machines’ turbo-charged 3D gaming audio-visual effects took the several hundred tech reporters, editors and ardent gamers present by storm. Aside from mind-blowing audio-visual effects, Chern also points out that the GT740 comes preloaded with the Windows 7, the easy-to-use, user-friendly interface of which makes operations smooth and efficient. What’s more, the system’s professional gaming design, with the frequently used “WASD” keys highlighted in easy-to-locate red and a separate numeric keypad, helps gamers glide past opponents in their drive to victory. All of this cutting-edge design and technology make the GT740 Fnatic.MSI’s ultimate secret weapon. Cheng explains that MSI and Intel are making gaming history. 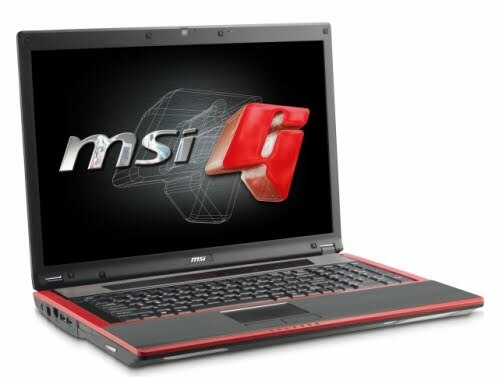 After its trial by fire during the first round at the CFD in London, the MSI GT740’s excellent performance has made it the laptop to beat in the gaming world. Furthermore, outfitted with the Intel Core_i7 Quad-Core Processor, the MSI GT740 is pushing performance to levels that make desktop users envious. The tour will take the MSI GT740 to South Africa, Poland, and Italy on the October 2, 7, and 20 in MSI’s mission to share its message with tech lovers and gamers throughout the world.